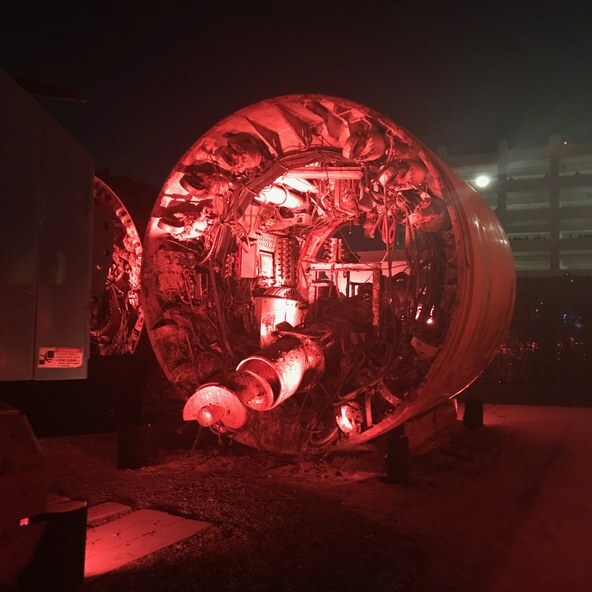 In a city that has gone mad for tunneling, Elon Musk has managed to keep the spotlight on his Boring Company with a drip-drip of titillating news about his underground drilling project in Hawthorne. Months of wondering if this was all more talk than do were answered Tuesday when press and selected guests were invited for a big reveal. Frances Anderton shares the experience with Steve Chiotakis on DnA on ATC, and asks if Musk’s genius for geewhiz technology blinds him to other ways of thinning traffic. 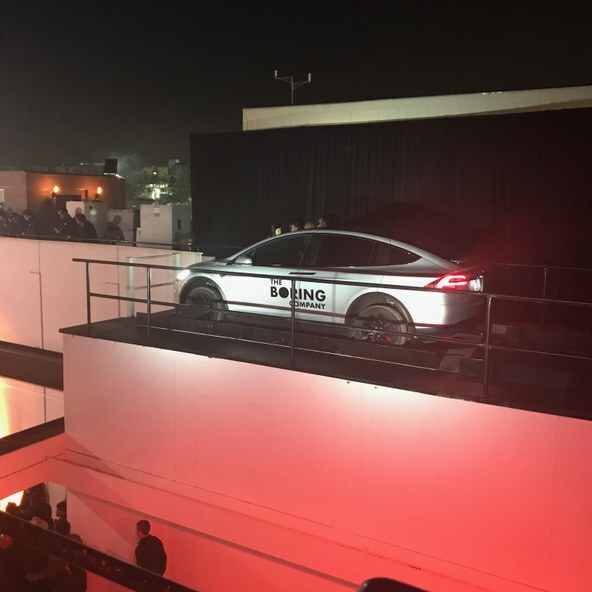 Only Elon Musk could throw a party on a lot full of theatrically lit boring equipment, featuring a Monty Python’s inspired performance by men in chainmail, rides in an EV through a tunnel, and a lengthy presentation that was mainly about tunneling speeds. 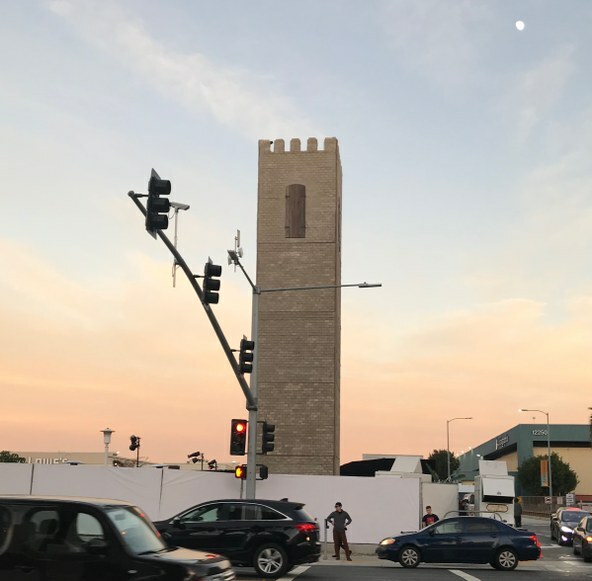 But that is what he did Tuesday with a two part event at the Boring Company lot in Hawthorne. The first part, in the afternoon, was a highly controlled preview for the press; the second part, as night fell, was for invited guests, who got to party. What both groups experienced was a demonstration of “proof of concept”: the much-touted tunnel, built by his Boring Company, and a ride through it in a repurposed Tesla Model X. So, let’s start with the tunnel. It is 1.4 miles, it is curving, slender and white, around 12 feet in diameter, and it was built at a cost of 10 million underneath SpaceX, Musk’s space exploration company. To get into it a group of us descended about 30 feet or so down a ramp or stairs in the company’s lot, located between a Lowes and SpaceX. 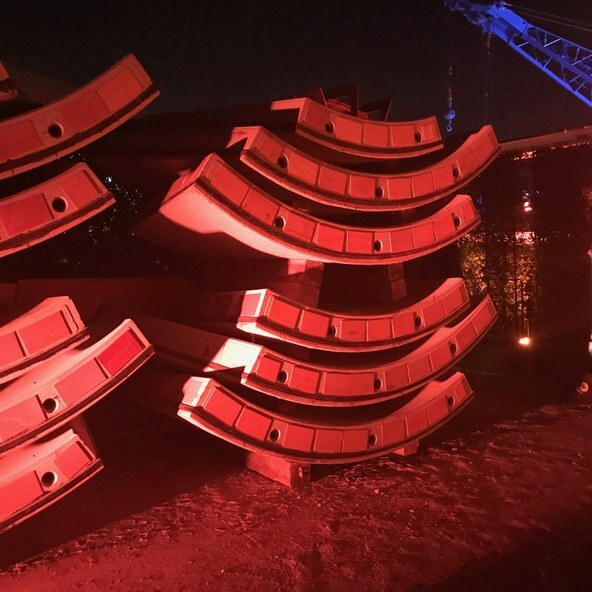 There we boarded a Tesla Model X -- with retractable wheels, more on that shortly -- and a very careful driver drove the car into the tunnel, guiding the wheels onto two concrete ridges running parallel to the tunnel and aligned with the cars wheels. He then drove us at a speed of around 40 miles an hour, to a soundtrack of Jackson 5’s “Dancing Machine” in a changing light bath of green and blue neon. The ride was somewhat bumpy and far slower than the projected hyperspeed of 150 miles per hour or so, which frankly would have been terrifying. The driver, by the way, was present for this test drive for safety and to demonstrate proof of concept. The ultimate goal, says Musk, is full autonomy. We then came to a stop at the base of an open cage elevator that lifted us up to ground level. We emerged in an alley behind the famed Hawthorne bungalow purchased by the Boring Company. How has the concept changed over time? The original transit system floated by Musk involved a "skate" concept -- wherein cars or small mass transit vehicles would drop down an elevator and then be sped on these "skates" up, down or laterally through a 3D network of tubes called the Loop. The Loop, he says, is a stepping stone towards a Hyperloop -- the Loop is for transport within cities, Hyperloop for transport between cities. 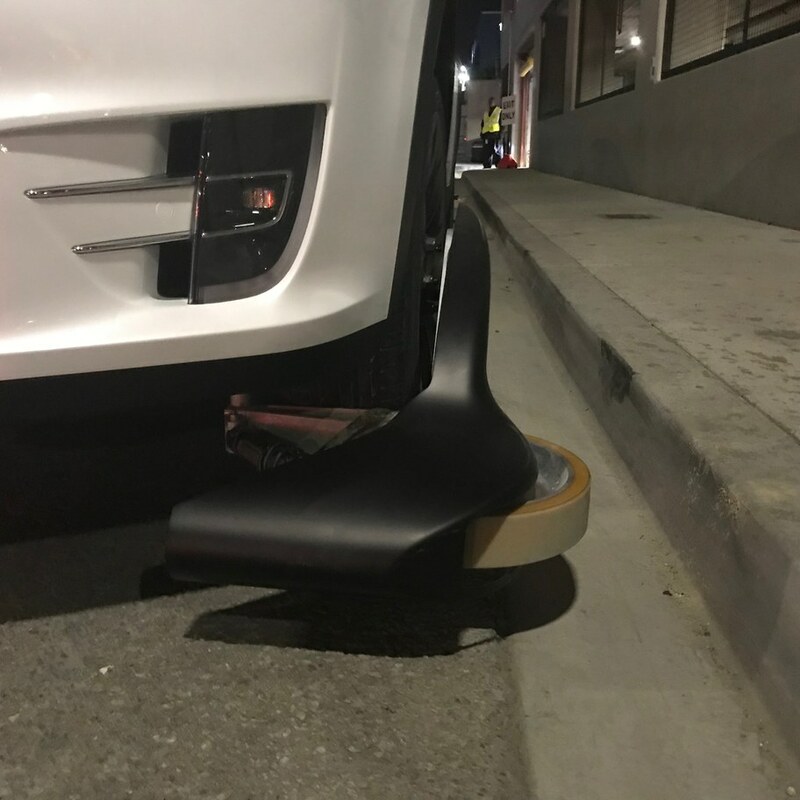 So the skates have been abandoned in favor of fitting out cars with affordable "retractable, deployable wheels" that are fitted to the underside of a vehicle and open out to attach to concrete upstands running the length of the tunnel just the width of the vehicles. Musk says this is a simpler, more streamlined, cheaper way to achieve the desired concept of high speed, multi-directional travel that takes riders directly to a station of their choice. He envisions multiple stations, each with a small footprint, "woven" throughout the city. Is this just a fancy Tesla marketing scheme? Skeptics suggested this change of concept was his way to sell more Teslas and abandon a mass transit option. Musk claims the system can run any electric, autonomous car that is compatible with the dimensions of the tunnel. He also claims that company owned Teslas would circulate the system constantly, picking up pedestrians and cyclists, thereby providing a public service to people without cars. The retractable wheels, Musk said, are “a small but very important element of the technology. And this is something that can be applied to any autonomous EV. So to be clear this was not intended to be restricted to a Tesla. Obviously for convenience sake I use a Tesla, right? That would be silly if I didn't. But this is not intended to be some sort of walled garden just for Teslas or something like that. The vehicles would have to be autonomous, Musk says, to handle the fast speeds and sudden braking for the off ramps; and electric to preempt noxious fumes. This confirmed suspicions that Musk had given up any notion of mass transit. So what was the event really about? And who was it aimed at? This was unclear. Musk repeatedly referenced his 3D Loop transit system and how it could be a “real solution to the soul-crushing traffic" in LA. He believes that with this infinite system you would not have the problem of induced demand, where you widen a freeway and it instantly fills with drivers who might otherwise not have chosen to drive. But Musk is not going to be building one on the Westside anytime soon. He dropped plans for a test tunnel beneath Sepulveda Boulevard after a coalition of Westside community groups sued, demanding an environmental review. A Santa Monica staffer told DnA the beach city was concerned that the Boring Company’s drilling would impact the city’s aquifer. Musk agreed to drop those plans in a legal settlement reached last month with the groups. Instead his company will focus on a more-than-three-mile tunnel connecting the Metro Red Line to Dodger Stadium. So was this about selling his Boring equipment? Certainly one could reach that conclusion. Perky Boring Company reps showed us several very large boring machines -- with names of course -- such as Godot, a first generation machine which we were told is too dirty and slow. Then there was Line-Storm, a second generation digger that promises to dig much faster. Then they have in mind Prufrock, a design capable of 15 fold increase in speed. Musk also repeatedly pitched the Boring Company’s "three basic product lines:" a Loop Transportation System, a Conduit Tunnel for utilities, and a Water Tunnel. He said that if they can build this tunnel system in LA, they can build it anywhere. “LA is like the tunnel equivalent of Broadway. We've got earthquakes, we've got oil and gas and methane in the soil. Like, they still drill oil in LA. And you get sort of sandy, rocky soil. There's about a million regulatory agencies that you have to satisfy,” he said. Skeptical journalists however were convinced the event was a splashy sales event for Boring Company technology and services. Musk himself says he is getting up to 20 calls a week from municipalities and private companies looking to buy, and that investment offers are pouring in even though he hasn’t shown them a spreadsheet. There is a lot of tunneling going on in LA right now. 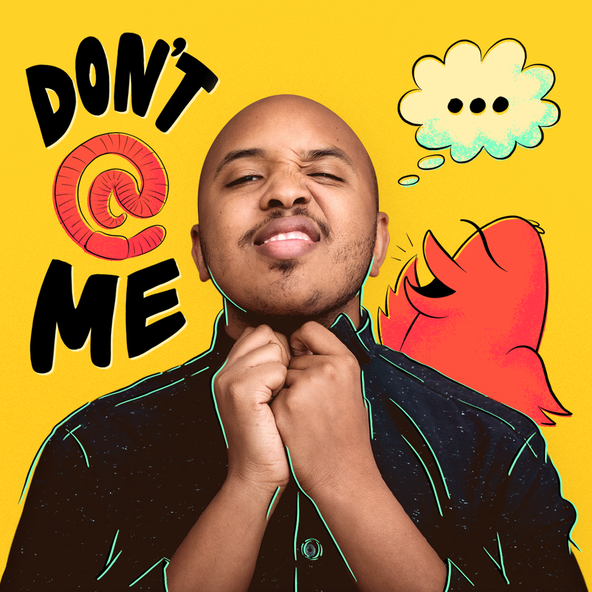 Why does this one garner so much interest? It’s the Musk effect. He can take the most boring engineering detail -- excuse the pun -- and make it exciting and interesting. 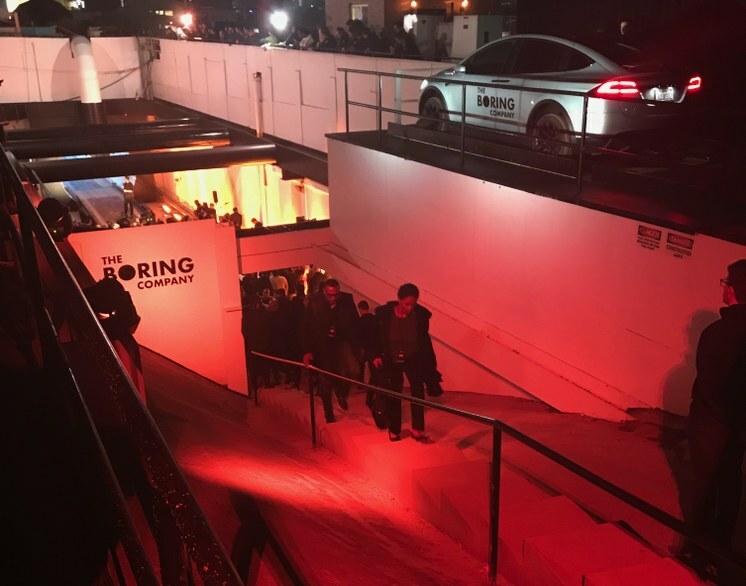 After all, only Musk could throw a party and enthrall people with a presentation about tunnel drilling equipment. And that’s what he did. Following the press tours there was a party on the lot. Guests included local elected officials from the City of Hawthorne, Tesla owners who’d won tickets, and people who sold hats for the Boring Company. 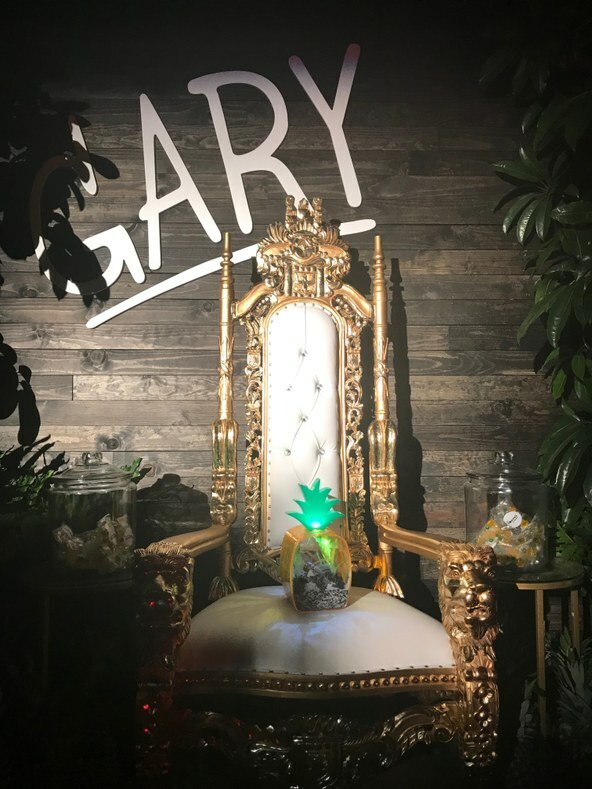 They ate s’mores and Pink’s hot dogs while mingling amidst concrete sections of a tunnel; huge pieces of boring equipment; a white gantry on which were blown up tweets of his touting the tunnel; a gilded throne or "shrine" for Gary (as in, SpongeBob SquarePants’ pet snail); and a tall brick "DIY Watchtower" (made from bumpy bricks baked from the dirt extracted by the boring). At the base of the watchtower were men in chainlink and metal armor speaking in silly French accents. They’d been hired by Musk to honor his favorite comedians, the Monty Pythons. And while all this was going on Musk himself was at the entrance to his tunnel giving his presentation to an adoring crowd who were there to get a first ride. His speech was projected on screens around the lot and a lot of it was about comparable drilling speeds. Why is Elon Musk pushing for this technology when we have a mass transit system under construction and the public has thrown its support behind paying for it? It appears that Musk is bored by the prosaic. He likes gee-whiz engineering solutions -- especially ones involving shooting people through or in narrow tubes, such as the Loop, the Hyperloop and Space X rockets. Add to that, people like to hear about gee-whiz solutions. It’s more exciting than the idea of sitting on a slow bus or a subway train filled with other people. And Musk appears to be not much interested in people and not much interested in the tried and true. Now, he is not alone in feeling this way. There is a reason why millions have chosen the solitary car-based lifestyle in cities like LA. But evidently Musk would rather reinvent the wheel than support ground-level mass transit of the kind that’s been proven for over a century. He would rather send an untested submarine to Thailand to help rescue trapped schoolboys than defer to brilliant divers who know from experience how to swim in tight caves. And he’s not interested in policy solutions. For him, an engineer, solving traffic congestion demands a technical solve, not, say, a land-use change like figuring out ways to have people live closer to work, or incentivizing people to get out of cars and walk or bike or use a more nimble technology like e-scooters. For a really radical solution to thinning cars, he could look at Minneapolis, which has just become the first major U.S. city to end single-family home zoning, thereby tackling not only high rents and entrenched segregation but long commutes and climate change. So on the one hand Musk is a showman bordering on a huckster. And yet on the other he’s a hugely inspiring, amazing inventor who delivers on his high-flying ideas. After all, he decided to build a topknotch electric car and disrupt the car industry and he did. He says he wants to tunnel under LA and then he does. He says he wants to fly to Mars and he’s on his way there. He said he was going to send humans into space and he’s about to -- next year he’ll send the astronauts Bob Behnken and Doug Hurley to the International Space Station in Space X’s Falcon 9, in a partnership with NASA. And has an army of followers willing to support him. One couple I spoke with at the party rejected any cynical interpretations, saying he's a "true dreamer" who “sees the big picture.” A man and his son had flown in from San Francisco just for the event. Outside the party a group of teens was begging to be let in; one of them was hoping to get Musk to sign his skateboard. Lastly, look at us in the media. Many reviewers are mocking Musk’s tunnel but none of them would have turned down an invite to experience it.